As applications become more prevalent in today's world, there's an increasing threat of attacks targeting web-based and mobile applications. Often times, quick fixes are added to the applications or additional components are introduced to minimize the impact of these vulnerabilities, but these are no longer scalable approaches as applications are getting more sophisticated, providing even great integration, functionality and requiring ease of use. It is more important than ever to implement application security from the ground up as part of the software development lifecycle by ensuring there are sound policies at the base of every development project and proper procedures and processes are in place for the design, inception, development, testing and implementation of applications. 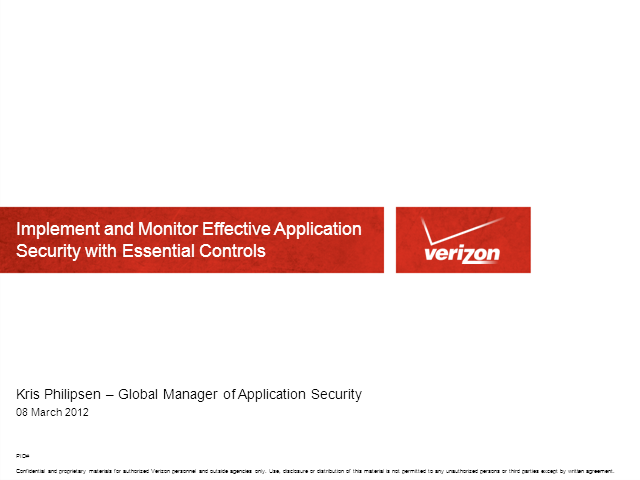 Kris Philipsen will discuss the essential controls necessary to ensure an effective application security strategy is being followed and how these essential controls improve the overall security of the application.